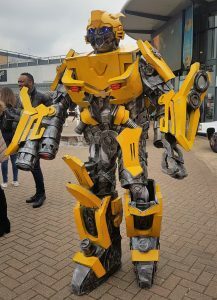 The summer holidays are well and truly upon us but fear not parents of South Wales, we have done the legwork for you and come up with plenty of events and things to do in Swansea City Centre over the holidays that you’ll keep the kids busy! 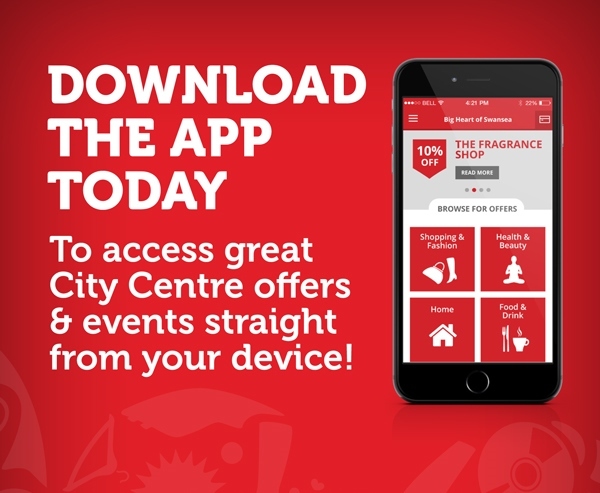 We’ve never seen so much to do during the holidays including FREE events, discounts and offers! Swansea BID introduces the first Big Art of Swansea competition! The competition is for artists of all ages and disciplines to take part in this 1 day event to produce a piece of art within a specified list of disciplines – paint, draw, sculpt, photography in the Swansea City Centre area. The theme for this year is Swansea’s Hidden Beauty capturing the city centre before great change. The winner will recieve a prize of £300 and there will be runners up who will receive vouchers to purchase art materials. 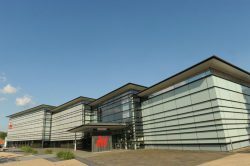 But sustainability isn’t all about electric cars – as there will be a host of interactive entertainment for the whole family, including the chance to create your own hydrogen fuel, whizz up a healthy fruit smoothie and get involved in some science-based activities, with thanks to Oriel Science. 12 SECRET LOCATIONS across Swansea City Centre will be taking part in this thrilling live mystery game. This is truly a one of a kind day out for players of all ages! Collect the case file, piece together clues, question real live witnesses and solve ingenious puzzles. Casefile: The Mystery of the Star-Eaters is a one-day event where you play as a ‘consulting detective’ for the local constabulary. BEST DRESSED TEAM PRIZE – FASTEST DETECTIVES PRIZE – TOP FAMILY PRIZE – points awarded for costumes and speed, winner’s get an awesome undercover spy kit! Players will be able to collect their casefiles at any time in the morning from 10am-12pm and begin their adventure by following the threads of information – wherever they may take them. The game will take approximately 2-3 hours to play with players free to complete it at any time until 4pm. A trail sheet will be provided for 4-8 year-olds that they can play alongside the main game. 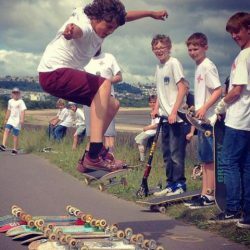 Join Swansea’s Exist team at their special pop up Skatepark at the National Waterfront Museum! Watch the pros in action then join the coaches for a super fun session to pick up some new tips and tricks. Suitable for all levels. Suitable for ages 7+. 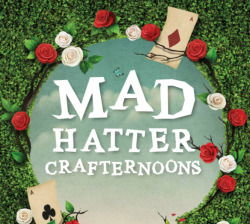 All ages are welcome to the Mad Hatter Crafternoons for some free holiday fun at the Quadrant Shopping Centre. You’ll be working with local artists and will have the opportunity to be creative. A different workshop every day to keep the children entertained during your shopping trips! Join award-winning CBBC’s science communicator Jon Chase at the National Waterfront Museum for hands-on experiments and demos to uncover a pirate’s science secrets! Suitable for age 7+. 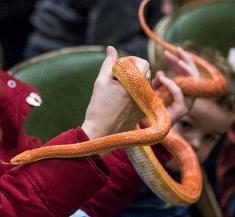 Each session will include a fun-filled workshop with games, a dinosaur dig to discover amazing fossils, a new baby dinosaur hatching egg mini show, meet and have a photo with Chip the Raptor, Trixie the Triceratops and Bradley the Brachiosaurus, and join the tropical rainforest hunt for large walking dinosaurs Ronnie the T-Rex and Spike the Spinosaurus! 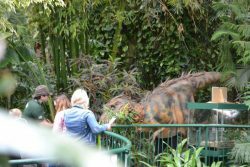 General admission to Plantasia is included in the price so why not carry on exploring after you’ve met the dinosaurs! Join Swansea Museum in the Tramshed by the marina for a FREE seaside themed storytelling on the tram. Suitable for all ages, drop in! 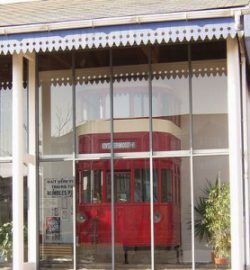 At the Tramshed you’ll also find memorabilia from the street trams of Swansea and also the world famous Mumbles train that ran around the edge of Swansea Bay from Swansea town centre to Mumbles Pier. 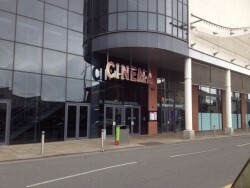 End the summer holidays with a relaxing family visit to Cinema and Co for their Weekly Kids Club. 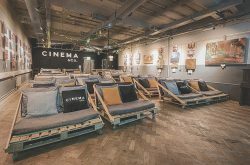 Book a pallet, chill out and enjoy the film! 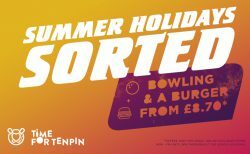 Get the family together for a fun game of bowling during the summer holidays. Available Monday to Friday. Prefer to visit in the evening? Check out our Buy One Get One Free offer available Monday to Thursday (excluding bank holidays) – not to be used in conjunction with any other offer. If your kids are console crazy then get them out of the house and down to Swansea City Centre to try out the latest craze of VR racing games. Race against their friends on the 50″ screen racing simulators with VR (Virtual Reality) headsets on to make it feel like they really are in the front seat. Don’t worry if you’ve not used VR before, you can still race without the headsets. The guys at SimRace1 will guide you through it and help you get the best out of your race! And who knows, you could make it onto their leaderboard! A visit to LC Swansea is a must this summer holidays with the Waterpark and Boardrider open daily between 9am and 8pm – ideal if you’re a working parent and need to juggle family time around working hours! And don’t forget that through the holidays if you visit the Waterpark and *return within 7 days you will get 50% off your visit with the Boomerang Pass and you can upgrade your Waterpark visit to include either the climbing wall, play area, Boardrider or spa for just £4.50pp with the LC Upgrade, available at LC reception. Artist-Led Workshop with the Art Trolley! 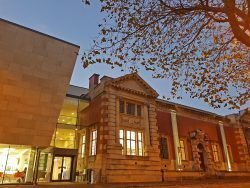 – Drop-in session suitable for all ages led by one of the gallery’s team of artists, the Art Trolley is a moveable cupboard of creativity that pops up around the Gallery every Saturday for drop in fun. Design your own beautiful animal print fabric with artist Menna Buss and the Art Trolley. Craft Workshops – Artist-led family workshop in aid of Mind, raising awareness of mental health. All donations will go directly to the charity. Saturday Family Workshops – These workshops offer an opportunity for young artists to visit the Gallery and create amazing artworks in a supportive learning environment. Young Makers Workshops – Using a range of techniques you will learn how to turn your drawings into professional quality animation puppets and three-dimensional theatre sets. 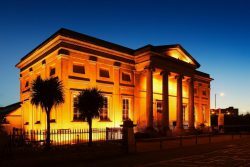 Summer Holiday Activities – Local-Global World Art Festival – Visit the Glynn Vivan Gallery this August to to explore the local and the global with a series of drop-in workshops. Including: Philosophical monkey-making, miniature luggage tag paintings and our collaborative mini-massive world building project. 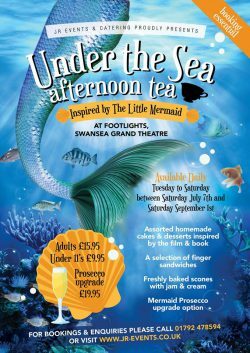 Visit the Footlights Cafe at the Grand Theatre this summer for an “Under the Sea” afternoon tea inspired by The Little Mermaid. Enjoy homemade cakes and desserts, finger sandwichs, freshly baked scones with jam and cream and there is even an option for the grown ups to have a Mermaid Prosecco!!! 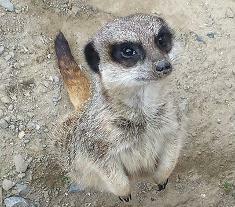 Visiting www.jr-events.co.uk to make an online booking or call the team on 01792 478594 (Tuesday – Saturday). 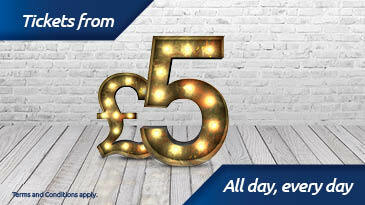 Cost: £2.50 per person to use our store library and/or gaming space. 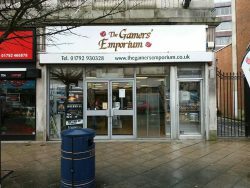 For further information, get in touch with the guys at Gamers’ Emporium via their Facebook page. 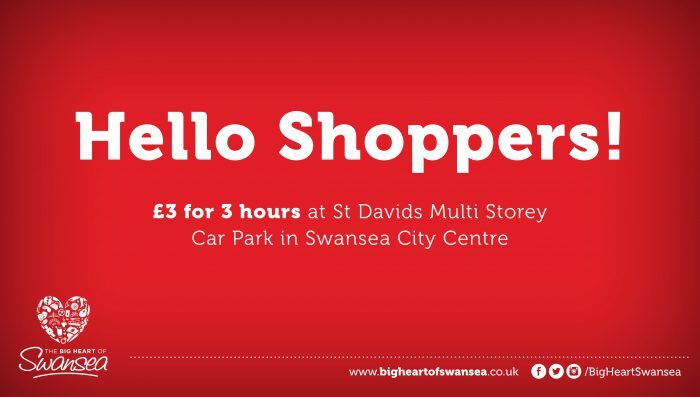 And remember, whatever you’re doing this Summer Holidays, take advantage of the parking offer at the St Davids Multi-StoreyCar Park – £3 for 3 hours!